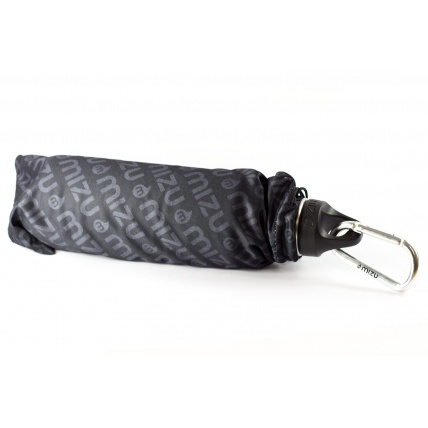 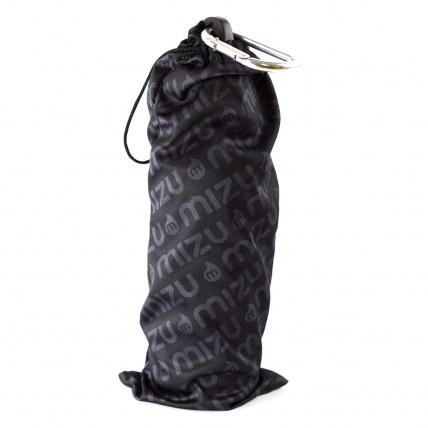 This is the top of the line MIZU M8 water bottle coming in a fabric carry bag if you want to keep it neat. But the more important difference is the hybrid steel and plastic cap with carabina clip. 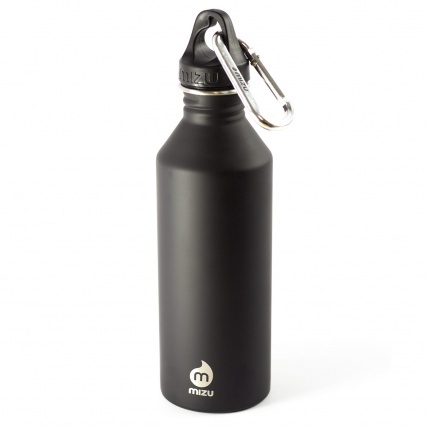 This is really handy and means water is only in contact with the steel rather than the plastic cap. 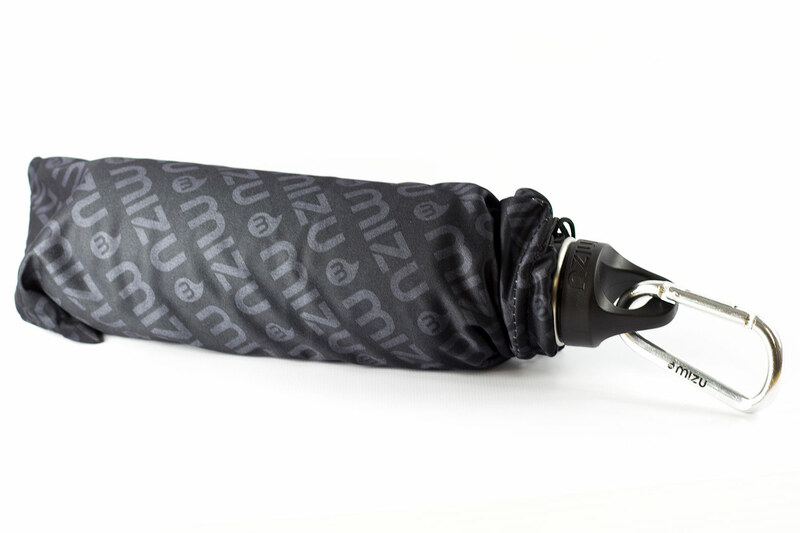 Finish it off with your own custom stickers and branding to keep it personal to you as it only has a tiny mizu logo leaving the rest open for custom finish!